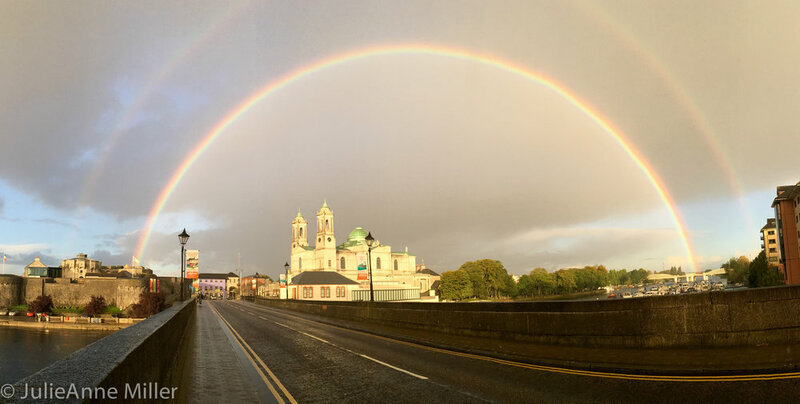 If you like rainbows, castles, ancient Irish pubs, and friendly people, then Athlone has got it all! It's also situated smack in the middle of Ireland, with the West and East coasts about a two hour drive in either direction. It's the perfect starting point for daily car excursions (once you get the hang of driving on the opposite side of the road!). And after a full day of driving and site-seeing, it's also a wonderful place to rest, relax and refuel. We stayed at the Sheraton, thanks to our wonderful #SPG points and the hotel was excellent!